AS-Motor launched its AS 940 Sherpa 4WD RC at GIE+Expo in Louisville, Ky., Oct. 18-20. 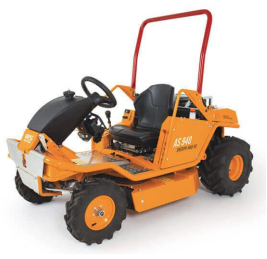 The AS 940 Sherpa is a ride-on rough-terrain mower that can also be operated using a professional remote control transmitter within a range of 300 yards. The mower is designed for the many areas where mowing can be unsafe, including on slopes, loose soil or wet terrain, the company said. The 36-inch mower offers a 4-stroke, two-cylinder with a 22.4-hp engine. The Sherpa RC will be included in GIE+Expo’s New Products Showcase and available for demo at AS-Motor’s outdoor booth.